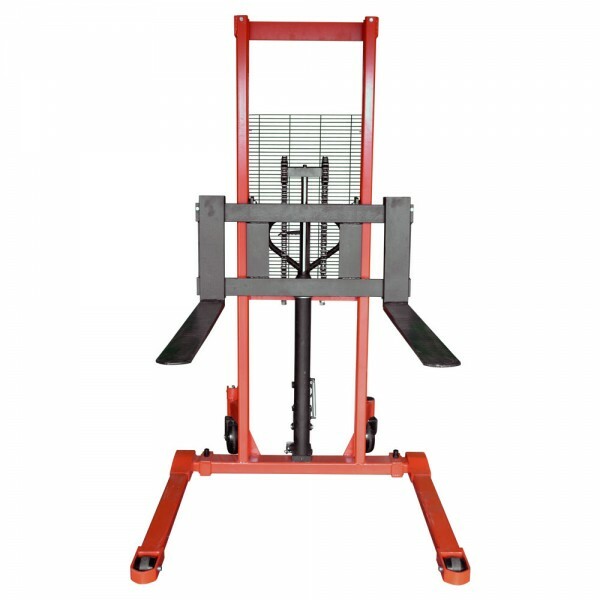 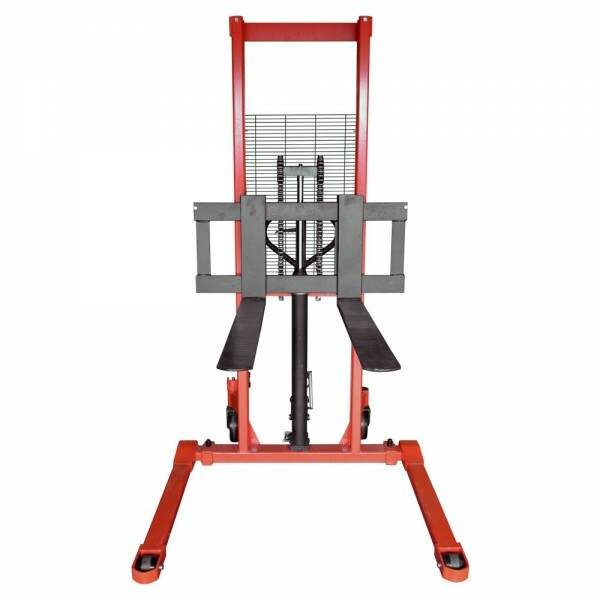 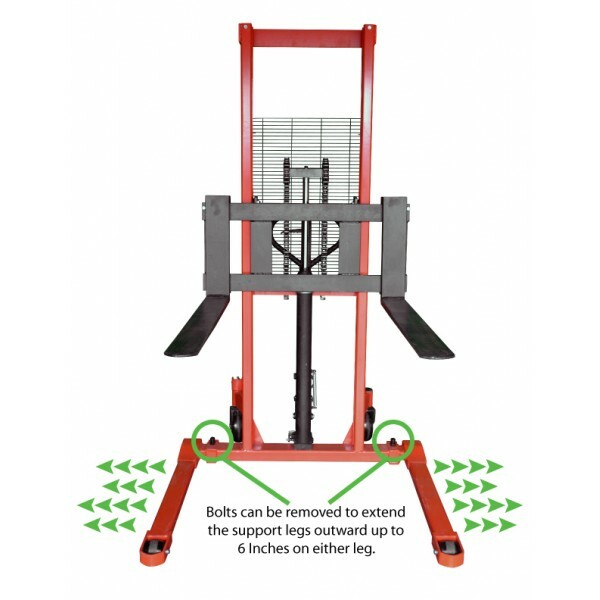 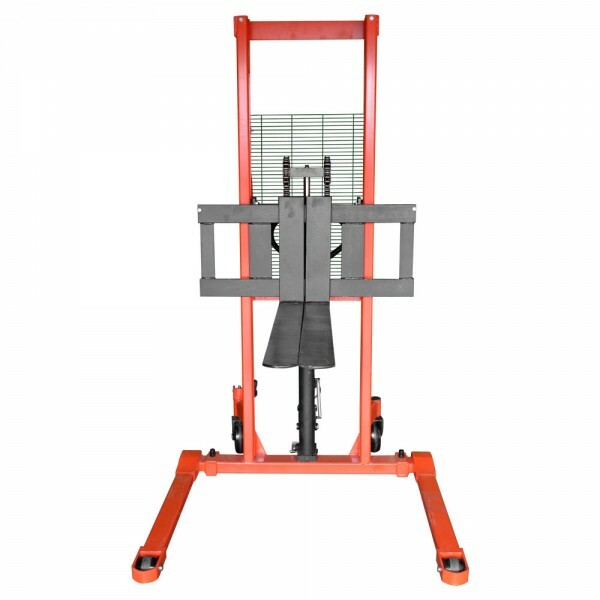 Bolton Tool introduces our Foot Operated Pallet Stacker with Adjustable Legs can lift your pallet cargo up to 2200 lb. 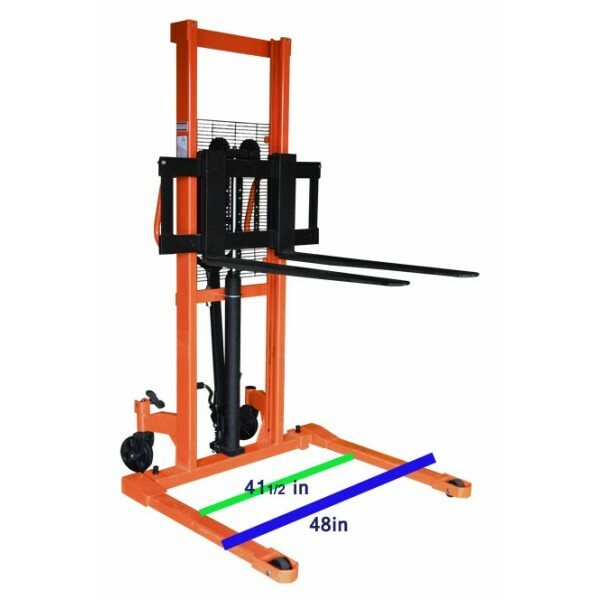 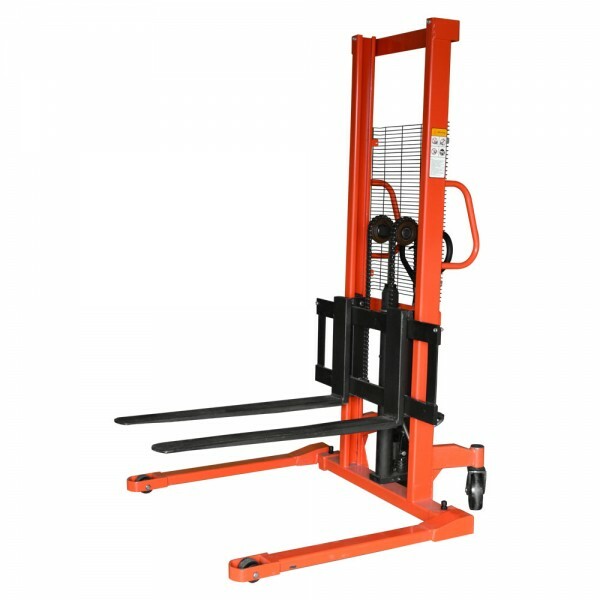 With it's wide Adjustable leg, you will be able to lift a US standard sized pallet straight from the ground. 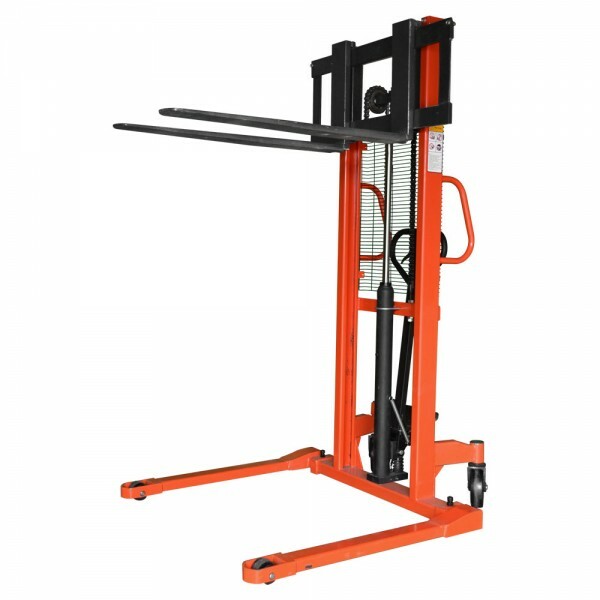 It features a one sided wheel lock to make the stacker stationary or you can do a swivel movement for a smooth reorientation. 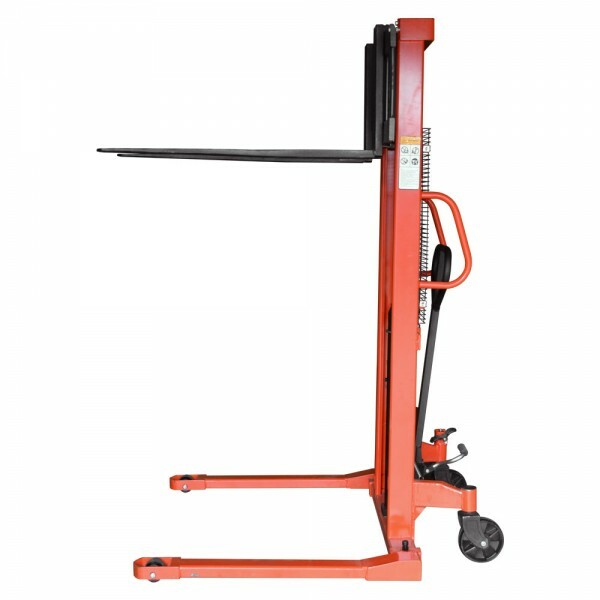 It takes about 80 foot pumps to reach it's heighst fork height of 63", enough to lift your precious cargo to the truck or stack to another pallet. 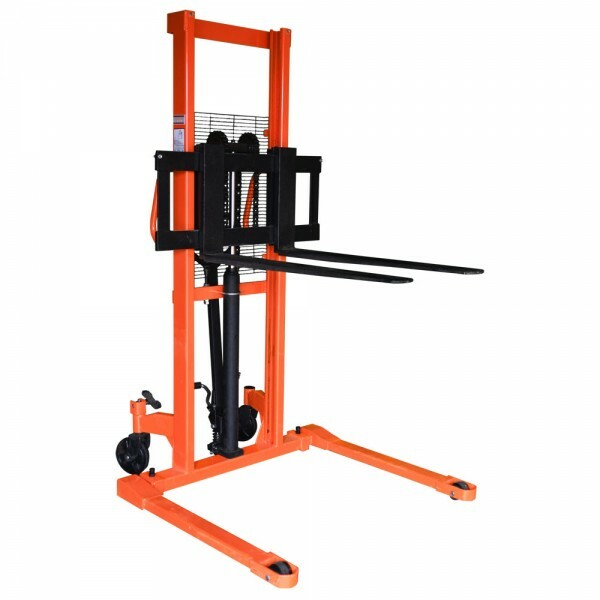 With its 1.25" thickness, tapered design down to 0.5" minimum fork design, you will be able to insert the forks on your first try and able to lift the pallet with precision and control. 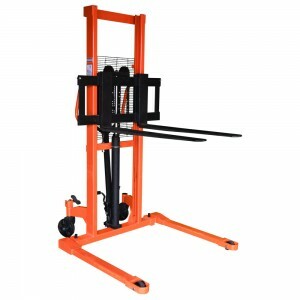 Minimum Fork Height: US: 2 3/4 "
Maximum Fork Height: US: 63"
Fork Width: US: 4 1/8"